In certain SEO tribes, there is a notion that as long as a company ranks for certain keywords, they don’t need to worry too much about their brand. In some cases, this may be true. There are countless verticals where just ranking above your competitor can be worth thousands of dollars of increased leads or sales. However, in my experience, rankings are never the whole story. If I rank below my competitor – but the searcher recognizes my brand name and has either a neutral or positive association with my brand – I will win the click in almost all cases. If I have a high-ticket item or a service that requires ample consideration (looking at you, B2B marketers), then reviews play a significant role on whether I get the click (and ultimately the sale). Over the years, I’ve worked with thousands of companies, both big and small. I can tell you, unequivocally – companies that have an established brand presence get more organic traffic. Every single time. I have worked with several HVAC companies over the years. Two of the HVAC companies that I worked with advertised heavily on radio, but when they came to us, they had poor digital visibility. Once we fixed their issues, the traffic (and sales) went through the roof on their digital channels. Organic traffic was the biggest winner for these two companies. I have also worked with two other HVAC companies that put all of their eggs into the digital basket. Their digital budgets were actually larger than the budgets of their radio advertising counterparts. The results were telling. The HVAC firms that advertised on the radio saw more digital traffic for less money than those not on the radio. Organic traffic to the branded HVAC firms was much higher than the non-branded HVAC firms. This was despite the fact that the non-branded HVAC firms had better organic (and paid) positioning. I have a master’s degree in advertising and I struggle with the overall definition of branding. 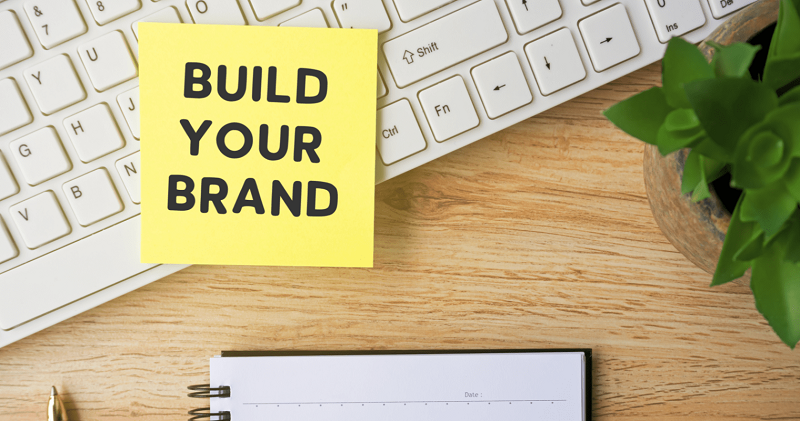 Many marketers miss the big picture when it comes to branding – thinking that parts of the branding process are branding itself. For instance, brand standards and guidelines are essential for creating a cohesive and unified visual appearance. But that’s just one part of branding. Driving awareness of your company is great and definitely an important part of the branding process. But it isn’t branding. Making sure you know your target audience is part of branding, but not branding. Getting quality reviews and testimonials is part of branding, but it’s not branding. Customer service is important for establishing trust and making your brand stand out. But it’s not branding. Here is my definition: Branding is the art of creating a company image that creates a consumer preference for your product or service. Whether it’s a large B2C company of a small B2B company – the benefits of name recognition are hard to deny. When faced with several brand choices, most consumers will choose a brand they have heard of rather that one they don’t know. I refer to this as the “hiring IBM” phenomenon. Several decades ago, as the computer revolution was heating up, this was not just a saying – it was a reality. There were many companies that had products that were cheaper and performed better than IBMs products. But if you hired one of those companies for your technical needs, and something went wrong, then you as a buyer could find yourself in hot water. However, if you were safe and hired IBM, even if something went wrong, it wasn’t perceived as your fault? Why? Because everyone knew who IBM was and assumed that their solutions were solid. Today’s landscape is different in most verticals. Most are looking at factors other than merely name recognition to help make their buying decisions. But name recognition still plays a huge part in the decision process of the buyer on their journey. The impact of name recognition varies from segment to segment, but it plays a part in almost every purchase decision. Do you want to take a chance on an unproven, unknown solution, or go with one that you perceive as more reliable? Most of us would choose the latter. And the perception of reliability is highly based on name recognition. In fact, in many cases, it is based solely on name recognition. In my earlier example, I spoke about how cross-channel marketing and creating name recognition resulted in better organic results. In this example, radio was the medium that accomplished the task. And while radio works well, it’s not right for everyone. And it’s expensive. As SEO professionals, we need to understand that name recognition and consistent branding helps us provide better results. When a client comes to me with little or no name recognition, I get excited. We get to mold an image from a blank slate. And often, when clients have limited budgets, SEO is one of the best ways to create brand recognition – especially for products or services that are researched by consumers. How do we create brand awareness as SEO professionals? We need to answer the questions the consumer has. If you aren’t optimizing for consumer questions, you are missing the boat. If your brand seems to be answering all the consumer’s questions, you start to build brand trust. If a potential customer has been looking for a solution that can be solved by your company’s product or service and they keep seeing your name, when it’s time to make the decision, the name recognition can be enough to make a #5 listing in the SERPs perform as well as a #1 listing. You might not get the volume that my HVAC clients saw from having their name said on the radio 30 times a day. But if you look at the costs associated with SEO versus an extended radio buy, the ROI on SEO wins every time. So I urge all SEO professionals to take a seat at the branding table. Make sure that you support branding efforts and understand their objectives. In the end, a trusted brand can make your search engine presence feel like it’s on steroids.